Cruising is one of the very best ways to see the world - especially for more mature travelers. From easygoing river voyages to elegant ocean sailings to enrichment heavy expedition journeys or exciting globe-spanning World Cruises, a cruise vacation is the perfect way for seniors to visit multiple destinations while maximizing your travel dollar. Comfortable, convenient and extremely cost-effective, cruises are a safe and stylish way for seniors to see the world with like-minded travelers and be pampered along the way. Whatever your mobility level, a cruise provides the perfect balance of full independence and accessible support while venturing out on your own. Of course, the list of reasons to go on a cruise is long, making that part of the decision an easy one. With so many choices to choose from though, the hard part might be deciding which cruise line is right for you. 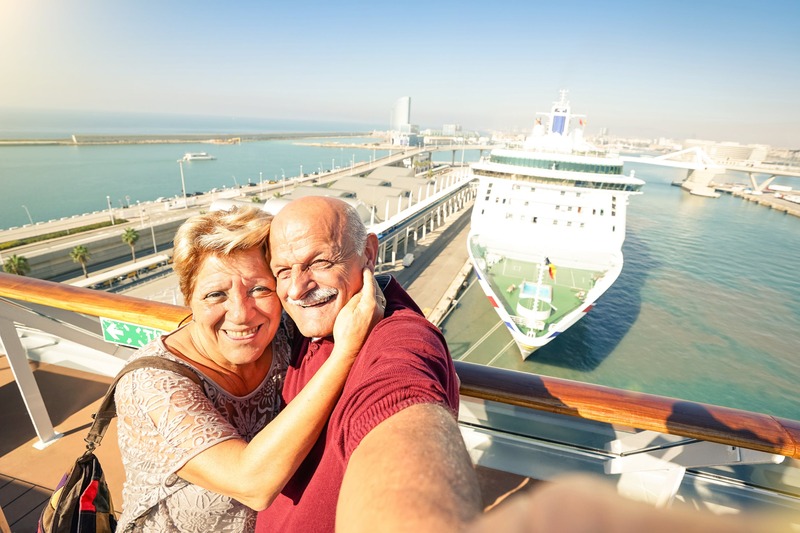 To help narrow down the choices, our experts have selected some of the top cruises for seniors wanting to travel in style. Today's luxury liners rival most 5-star hotels and are ideal for active seniors and those at the upper end of the age spectrum, including limited-mobility passengers, and most have been built specifically to cater to a more discerning, mature crowd. Today's luxury ships feature exotic itineraries, engaging onboard activities and elegant ship designs that include easily accessible passageways throughout, wheelchair assistance for embarkation and debarkation and an array of stylish staterooms with state-of-the-art handicap-friendly layouts. Classic yet contemporary, Cunard Line is a nostalgic voyage harkening back to cruising's heyday. From authentic British-style afternoon tea to enrichment programs including thought-provoking lectures and talks by well-known personalities, and even a full-scale planetarium, Cunard is all about recreating the "Golden Age" of ocean liner cruising. 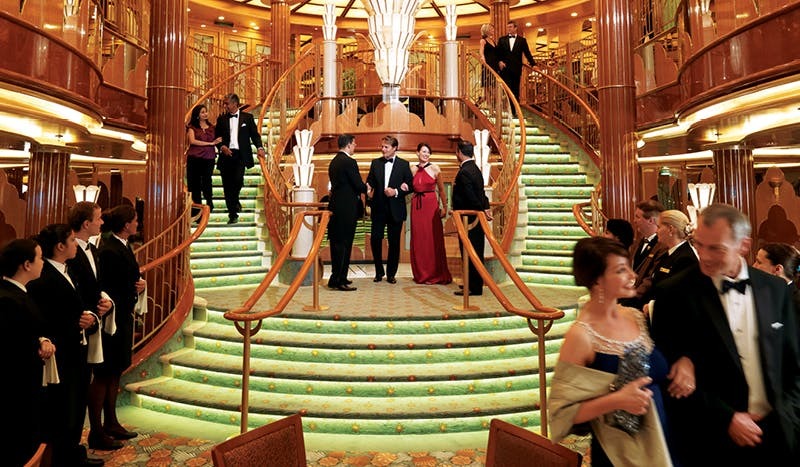 The elegant main areas on Cunard ships harken back to cruising's storied history. 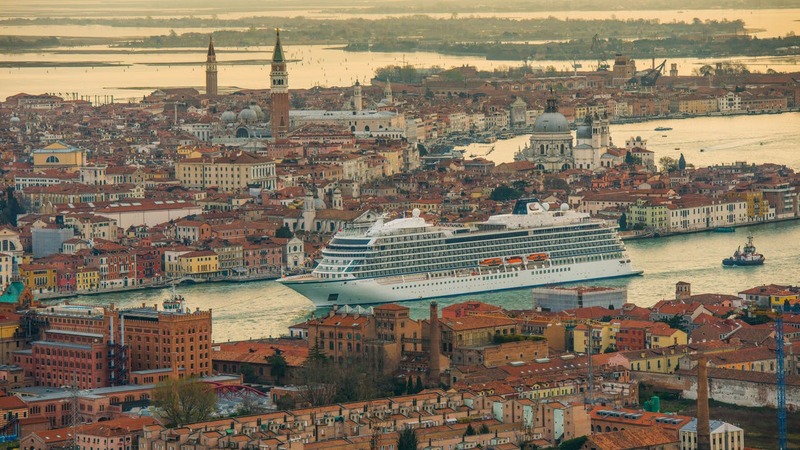 Crystal Cruises takes high-end cruising to a whole new level and are considered the standard-bearer for excellence in luxury - by ocean, by river and by yacht. Crystal's elegant ships boast high passenger-to-guest ratio making their service second-to-none and providing guests with more pampering and more programming than most other luxury lines. Onboard their all-inclusive voyages, passengers can partake in art classes, guest lectures, cooking demonstrations, afternoon tea, wine tastings, bridge lessons, and a variety of fitness and wellness programs. Insider Tip: Cunard and Crystal are among the few senior-friendly cruise lines to provide mature singles the chance to dance, mingle and schmooze with their "gentleman hosts" or "Ambassadors" - distinguished men who entertain guests and dance nightly with unescorted female passengers. Called "the thinking persons cruise line", Viking Cruises understands the difference between a tourist and a traveler. They truly cater to adults and "no frills" cruisers with their policies of no kids, no casinos, no umbrella drinks and never any sales pressure to purchase needless services, spa packages or specialty items. If you prefer traveling alongside a distinguished, older clientele, spending more time in each port and enjoying an inclusive cruise experience complete with world-class dining and thoughtfully curated shore excursions, Viking is the perfect choice for you. Viking is called the "thinking person's cruise line." Elegant small ships with wide-open vantage points (and without the crowds) that offer a safe, smooth journey through the world's most iconic destinations are just some of the reasons why scenic river cruising is the perfect experience for seniors. With friendly and knowledgeable service, fewer guests on board, uniquely personalized experiences both on and off the ship and French balconies with floor-to-ceiling sliding-glass doors in the majority of their spacious cabins, AmaWaterways is one of the best river cruise experiences for mature travelers. Themed, solo and group cruises also make this one of the top options for foodies, wine lovers, history buffs and educated travelers looking to immerse themselves in truly exotic destinations. 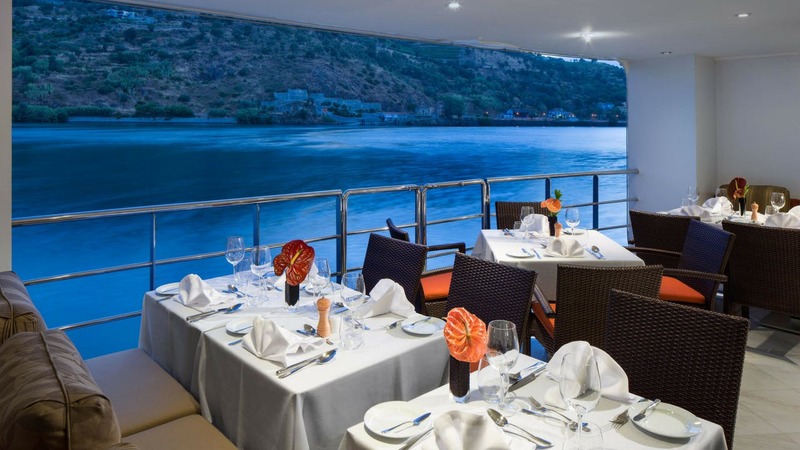 The dining venues on AmaWaterways ships offer dramatic views during meals. Regularly topping most "best of" lists in the upscale river cruise category, Uniworld boasts world-class cuisine, unmatched service, great enrichment opportunities and top-notch local entertainers brought onboard regularly. European river cruises are a favorite for history buffs and even WW II veterans as their itineraries visit Europe's most famous cities, sites, towns and landmarks throughout France, Germany, Austria, Hungary and more. Insider Tip: If you have major mobility issues, a river cruise might not be right for you as there can be some limitations such as a lack of elevators or accessibility throughout some ships, challenges of getting on and off the ship while in-port and any logistical issues related to changing water levels. Widely considered one of the best vacation values available and with wide variety of luxurious options, a contemporary cruise is typically a larger ship packed with more activities, services, restaurants and options than any other type of cruise. See the world in absolute style while you relax and unwind with no packing or unpacking, no worrying about missing connecting flights and no extra transportation costs. As far as "mass-market" cruising goes, Princess is an excellent option when it comes to cruises for seniors, especially those with disabilities, as there are plenty of wheelchair-accessible lifts throughout their ships and some ships like the Ruby Princess have dozens of wheelchair accessible cabins, including inside, ocean view, balcony and suite options. 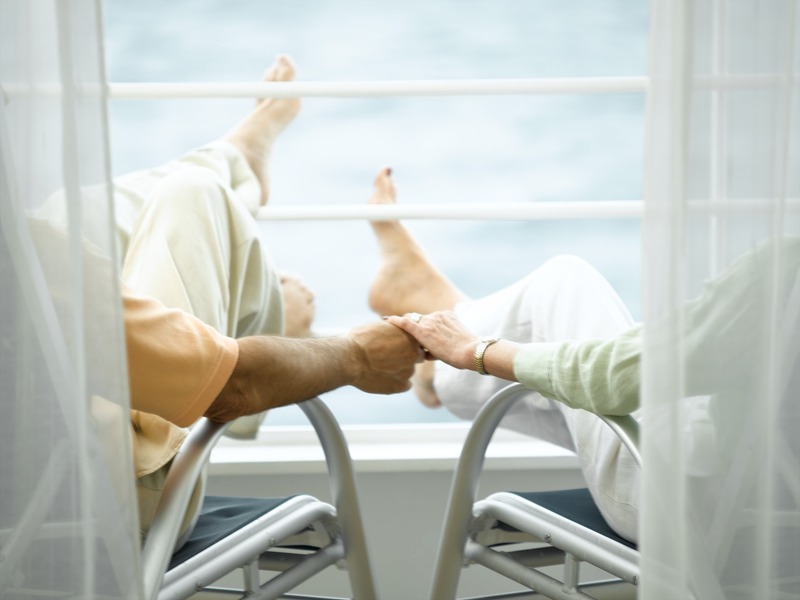 Seniors enjoy contemporary cruises for a variety of reasons. Norwegian makes our list of top cruise lines for seniors thanks to their affordable fares, frequent senior deals and their Freestyle Cruising options - a uniquely NCL concept that allows guests to dine whenever, wherever and however they want without the need to rush back from a shore excursion or worrying about making the show that evening. 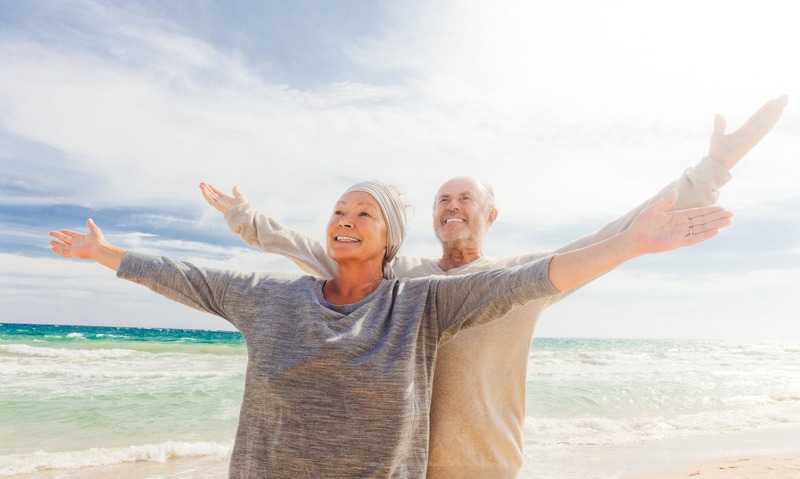 If you're on a budget, Norwegian regularly releases new cruise specials exclusively for seniors ages 55 and older, so ask our experts what's currently available. Insider Tip: Norwegian's Pride of America is one of their many ships that provide wheelchair accessible rooms and scooter rentals to make it easier for seniors and disabled passengers to get around on board. Holland America Line is a great choice for seniors of any mobility level, but they are the best at offering accessible experiences for guests with disabilities, even honored by Porthole Cruise Magazine as the No. 1 cruise line overall in accommodating physically challenged passengers. These mobility-friendly ships even include a specially designed lift system for tender transfers. Insider Tip: Holland America's Vista Class ships feature 28 accessible rooms, and all cruises include wheelchair assistance at both embarkation and departure. Safe, stylish and offering so many possibilities, today's cruises include many incredible options for seniors and fit every age, activity level and adventure, no matter how mature or mobile you may be. To learn more about our top cruise picks for seniors and tips on creating the perfect vacation for older travelers, connect with a CruiseInsider expert today or call us at 1 (877) 734-68508.